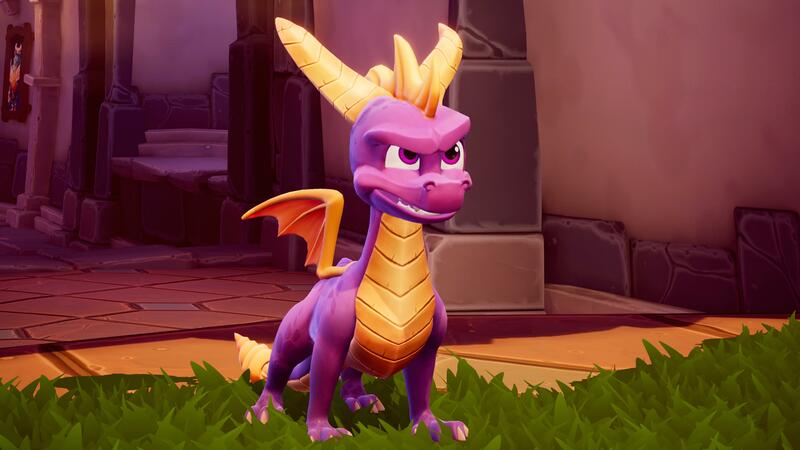 Toys for Bob, have done a brilliant job and they just get Spyro, they have recaptured everyones love and affection for the little purple dude. They have rekindled the spark of the original Playstation versions of the first three games. Its definitely had an amazing up lift in colour and tones, but also the amount of detail is gorgeous, with its new coat of paint. This collection it reminds us about how these charming platformers were, and are still very much loved. They have nailed him to a tee, nailed how he feels, when he leaps, glides, and charges with the energy that I remember, but definitely more adorable characteristics and animations. His charm and personality has always been there from the start, since Tom Kenny, who reprises his performance, jumped into the role with Spyro 2: Ripto’s Rage. But Toys for Bob has used two decades of technological advancements to give him a delightful hybrid of cat/dog quirks both in cutscenes and while roaming the realms, from his joyful bounce whilst walking to charging into enemies. They haven’t fixed what wasn’t broken when it comes to the gameplay. The levels still play very well, thanks to Insomniac Games’ original design. Toys for Bob have given more modern depth and life to them. All the levels have gorgeous horizons surrounding them, the sheen and cracks of ice in frozen parts to magical colours and sparkle. The characters friends and foes, feel like they’re plucked straight from a modern morning cartoons. The only real hindrances cramping the trilogy’s style are the annoying load times in the first Spyro the Dragon and some slight screen tearing into the worlds of Spyro 2: Ripto’s Rage. ( all I can complain about). Just simple changes like movement and camera controls being mapped to the analog sticks make for better gaming experience, though the purist in me occasionally felt it robbed jumps of their former difficulty. But still Tree Tops frustrates and challenges me 20 years on. Keeping levels layouts natural and accurate to the original allowing me to easily re-find secret side challenges and solve (or still have trouble with) puzzles two decades after I first beat them. I wanted to backtrack and take me time in every level, in order to scour every inch of these worlds because the entire trilogy is gorgeous and fantastic. That’s not just in the obvious updates, but in the tiny little details that breathe fresh life into everything. I adore the revamped dragons of the original Spyro. What used to be a handful of repeated models have become an individual and personality-driven design for each of the dragons. One wears clocks on his belt, headband, and wrists, while another artistic-minded one has paintings hanging in the halls of his home. They bring such variety to the world in just a few seconds of screen time. Its the fact I wanted even more dragons as I loved the designs and creations. The new soundtrack is brilliant, but i do love the feature that lets you change it to the original as well, just for nostalgia purposes, but the new soundtrack is a breath of fresh air and really fits in with all the magical designs. The voice work is equally both nostalgic and appreciably updated. 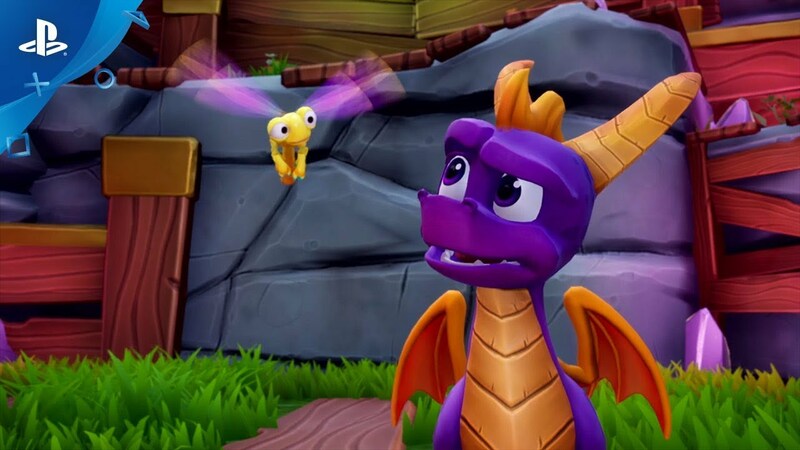 Many of the original voices return to fill out the Realms, both Dragons and Forgotten, as well as Avalar, and Kenny’s return to Spyro just captures the scampish attitude of the character so well. As an adult now, it can be seen as easier for adults to complete, but don’t get me wrong tree tops level and Gulp I still found really really hard. I think kids jumping into these specific Spyro adventures for the first time will find plenty to delight them. As someone returning to them, it’s nice to have the skill points added to the guidebook, which unlock concept art, its nice that they gave me something a little extra and bit of challenge while completing levels. The trophy and achievement design also smartly isn’t built around level completion instead, it’s about trying to solve each one under specific circumstances or by seeking out certain set dressing in the world, like burning down all the trees or mushrooms. 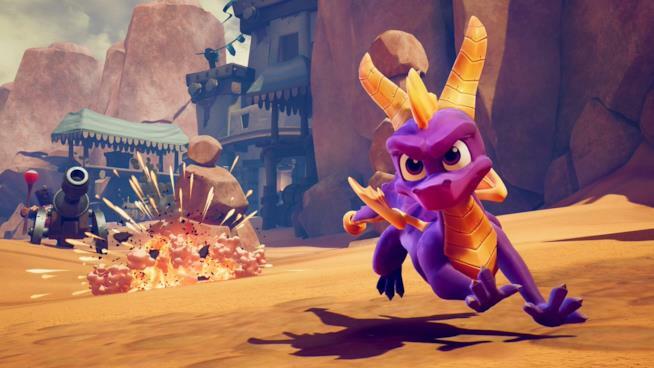 It’s completely optional to chase those, of course, but given Spyro’s collect them all nature, it’s nice to have that added layer of goals to shoot for in all the games for new and old players to take part in. My thoughts I love it and yes I am very bias as I loved them before, and Spyro was part of my gaming life growing up and my first game that was my own on a grown up console 20 years ago, I feel Toys for Bob have done amazing in recapturing the magic of Spyro and giving it a much need lick of paint, and added detailed it needed in this modern world of gaming all in one nostalgic package. The Worlds are packed to the brim with more detail, animations are consistently charming and the quality of life improvements make revisiting these once analog stick-less platformers a joy to play. They’re definitely easier thanks to some of those changes, but no less challenging to play. It’s great to see Spyro’s return treated with such love and listening to fans what they wanted for spyro as well, and I hope renewed interest in his past can light the way for his future, and that hopefully Spyro can carry on into a new adventure. Also you can see me play spyro on our twitch channel https://www.twitch.tv/gamergeeksuk or tweet us @gamergeeksuk what you think or leave comments below. Posted in games.Tagged insight, PS4, review, spyro, Spyrothedragon, twitch.